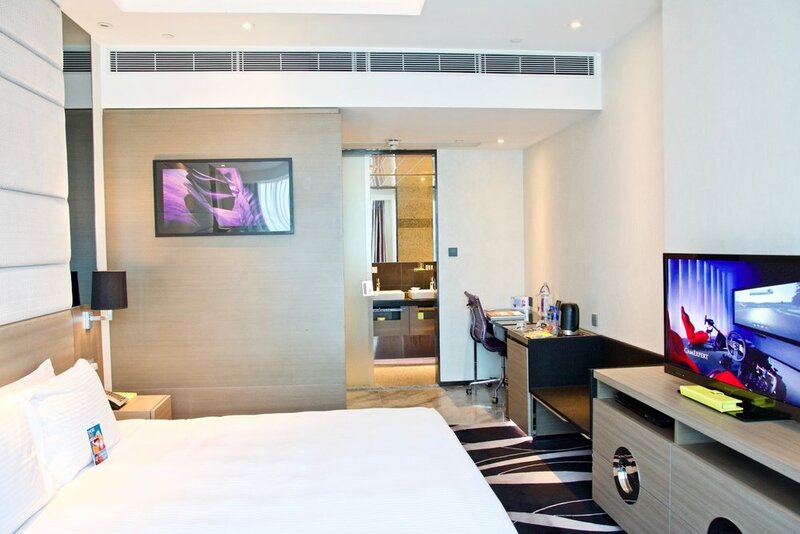 Located at the heart of Kowloon, Hotel Madera Hong Kong is a hidden gem in the city’s urban bustle. In Spanish, “Madera” means “wood”. Taking inspiration from its name the Hotel boasts architectural features which balances synergistic design and natural harmony. 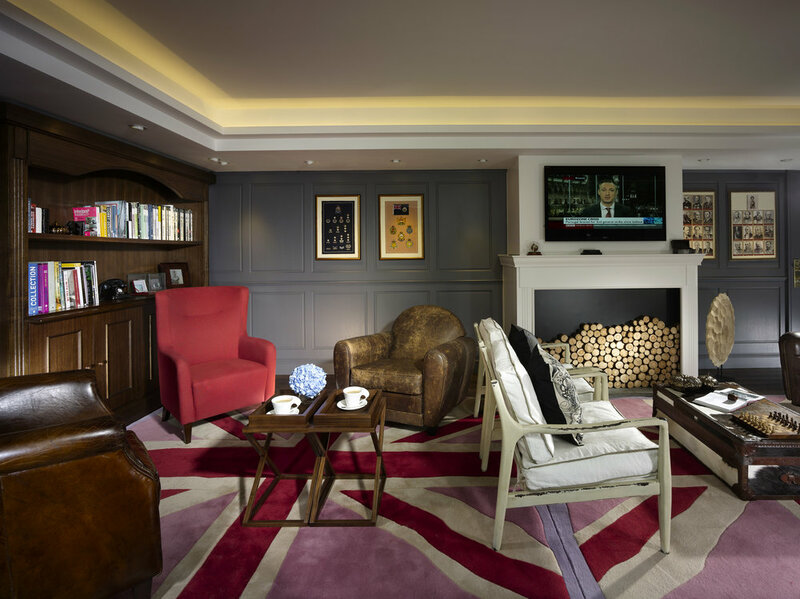 The calming colour scheme in the rooms and a moody sky lounge help guests unwind and relax, as well as enjoy a slice of urban living in a what feels like a secret hideaway. The hotel houses 88 luxurious hotel rooms, each with a spectacular view of the city, guests at Hotel Madera Hong Kong can luxuriate in our comfortable guest rooms while taking in the exhilarating vista of Kowloon. We thoroughly enjoyed staying in Madera Hotel’s Deluxe Room. Ranging from 26 to 38 sq. m., these chic rooms are elegantly appointed with all modern amenities, boasting five distinctive colour schemes in unique layouts and a jet bath, where you can unwind after a day of exploration. The separate jet bath and shower facility means that a couple can have a private bath/shower separately which we found to be a particularly enticing proposition. Set off on a tour of Hong Kong’s past and present, and savour the rich history of this metropolitan. Our Gallery is infused with an aura of contemporary chic providing an interesting contrast with the reminiscent history it houses. With each step you take the clock gets dialed back until you find yourself in the 1960s Hong Kong, with every piece of vintage pro whether a post box of the Victorian era, an antique phone booth, or a rickshaw out of the World of Susie Wong – well matched with the traditional decor. The Gallery is a stunning corner showing a variety of awesome art pieces, with exhibitions to be held regularly. The Gymnasium is open round the clock with a wide range of exercise machines to be utilized at your leisure. An ideal splendor to overcome your jet-lag. A fully-equipped Game Room with a 100″3D Projector Screen, Xbox One and PlayStation 4 gaming consoles, a 12:2 Stereo system, offering exciting entertainment and respite from the urban bustle. The Game Room is also a creative and multifunctional corner where you may also enjoy a game of soccer. Café 1997 elegantly recalls Hong Kong’s good old days. The colonial style coffee shop is adorned with memorabilia of the 1997 Reunification and serves up a relaxing atmosphere along with its light refreshments. The Horizonte Lounge boosts a spectacular 270 degrees panoramic view of Kowloon and the Victoria Harbour on our 29th floor stunning roof. It’s the perfect spot for a drink to unwind at sunset and take in the breathtaking vista. Be sure to check out the Happy Hour specials. 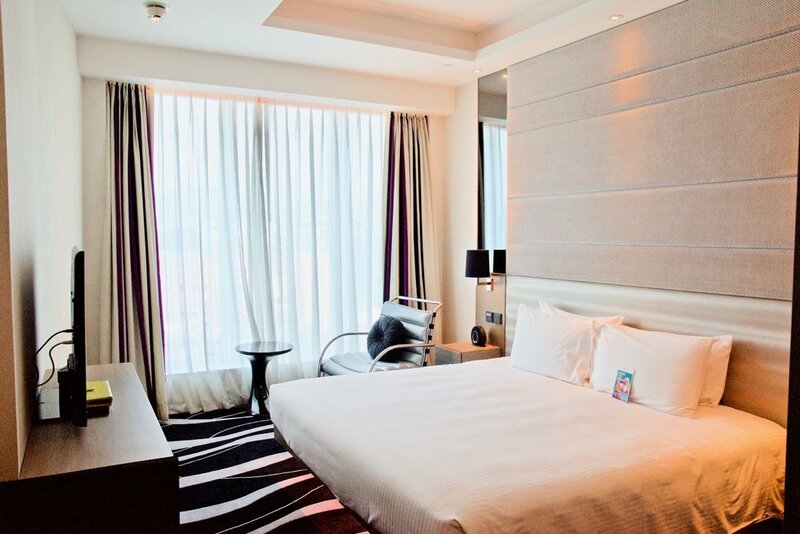 Hotel Madera Hong Kong, the ultimate destination for an authentic Hong Kong experience. Find out more about Madera Hotel here.